Militaries require rapid, reliable and durable technology to guarantee that failures do not happen while operations are in progress. Winmate’s Military series of products are designed to be industrial grade, and undergo rigorous testing to ensure safety and performance, going beyond military standard compliance. Built to survive drops, shocks, liquid spills, vibrations, dust, salt, and extreme temperatures,our line of products has also been tested for both MIL-STD-810G environmental and MIL-STD 461F EMC Standard. 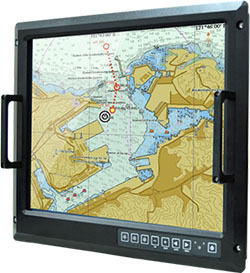 The high resolution display is both fully rugged and multi-touch offering optimized visibility with hyper dimming options, optical bonding, and easy-to-use OSD front panel controls. The advanced computing platform enables faster searches and real time positioning information, providing rapid response capabilities for times when a regular PC will just not cut it. Viewable Size Image 17" 19" 20.1"